I've been a happy user of the Jaiku S60 client for a while now. It not only allows me to coordinate things with my friends on the move, but also positions my phone using cell IDs. So far I've used the WiFi positioning based Plazes client for updating location on my site, but the thought of also using Jaiku has crossed my mind a few times, as it updates my location a lot more often (even if less accurately) than my N810 does. To make things even more interesting, Yahoo! recently launched their Fire Eagle positioning service that can use multiple location sources, and distribute the data to multiple clients. 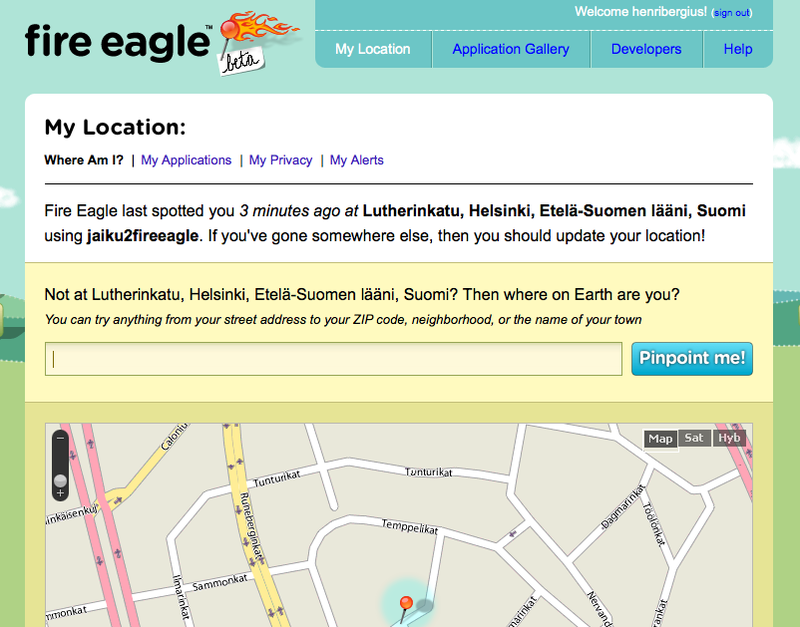 This means that if I make my Midgard track Fire Eagle instead, I can easily combine both Plazes and Jaiku location data. 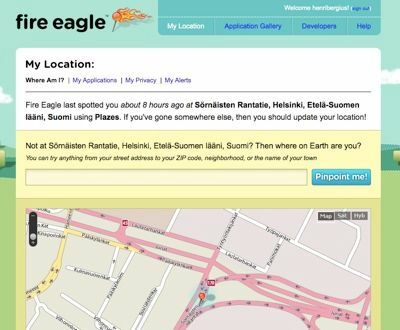 However, as for now Fire Eagle only provides a set of APIs, and no tools to work with the various services. 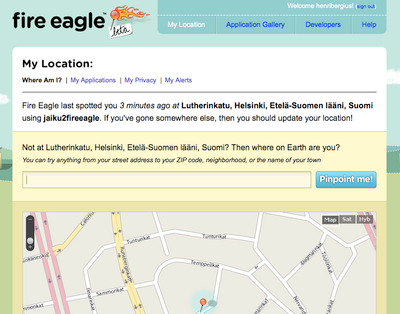 So in order to get familiar with their API and to enable Jaiku location I whipped up a quick PHP script for keeping Fire Eagle updated on my location. In this case my Jaiku location string was Etu-Töölö, Helsinki, Finland. I passed the neighborhood name through GeoNames search, and that mapped the Helsinki district of Etu-Töölö to coordinates to only some hundred meters from my home. Not bad! 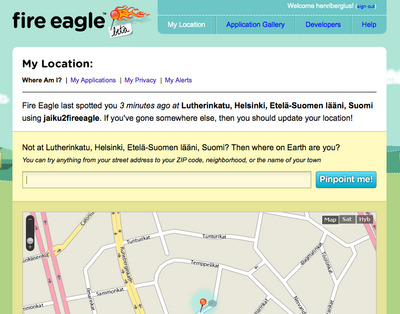 Next up: make Fire Eagle a Midgard position source as well. Also, figure out how to tell Fire Eagle that even though I'm providing it coordinates I got from GeoNames, the position is only approximate and not exact. 20 August 2008. 1 minute read.